StoragePRO recently celebrated its 25th year managing Fort Knox Self Storage in San Francisco! StoragePRO is proud to say this facility is the first facility we ever managed. We have come a long way from managing just one facility to now owning and managing over 40 facilities, and it all started on Turk Street in San Francisco. Fort Knox Self Storage is just a 15 minute walk from the idyllic Union Square, a few minutes from the historic Orpheum Theatre and the San Francisco Opera and Symphony; Fort Knox is ideally located in this great Californian city. Built after the 1906 earthquake by Christopher Columbus Miller, the building’s six floors became home to Miller Moving & Storage. 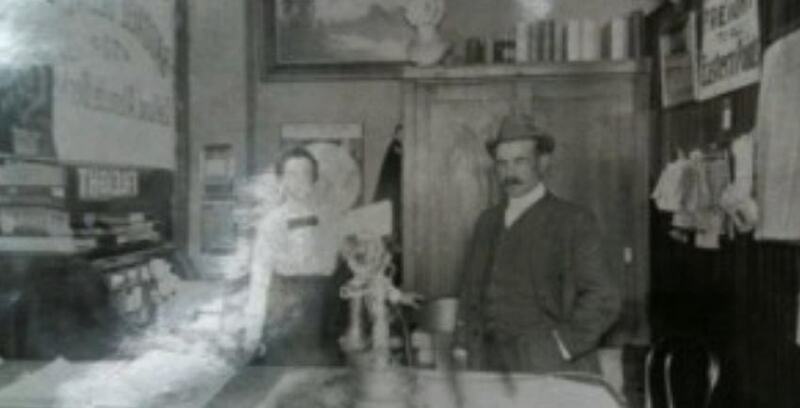 Mr. Miller and his wife lived in the 3rd floor apartment while operating their successful storage business. To transport tenants’ belongings to and from the facility, Mr. Miller used a single horse drawn carriage. But as his business grew, Miller upgraded to a fleet of moving vehicles. His biggest customer, Lyon & Healy, rented the entire 6th floor to store their grand pianos. This building has witnessed a lot of history considering it has been around for over 100 years! Chad Miller, the great-grandson of Christopher Miller, visited Fort Knox recently with his mother. Thanks to the Millers’ visit, we were shown some old photographs of Christopher Miller and his wife. Later in the 60s and early 70s, the infamous Mitchell brothers owned and used the building for the filming of their highly popular X-rated films. The Mitchell brothers, Jim and Artie Mitchell, were pioneers in the adult film and striptease club industry. They opened the O’Farrell Theatre in 1969 as an adult cinema and at one time operated 11 such businesses; they produced and directed many adult films. Why call these brothers infamous (besides obvious reasons)? Well, in 1991 Jim shot and killed his brother Artie. Jim was arrested and convicted of voluntary manslaughter. Talk about bad blood! When Fort Knox’s current owner bought the building in 1975, the black painted walls used for the Mitchell brothers’ movie backdrops were repainted and the building was converted back to its former glory: a storage facility. Sheet rock partitioned walls were changed to metal partitioned walls and the old swing doors were replaced on the 2nd and 6th floor. Now, 2 of the 6 floors are updated, 567 storage units of varying sizes fill the facility and it boasts many valued amenities and features such as 24 hour surveillance, mailboxes for rent, and a resident manager! We look forward to many more years of managing this wonderful and unique facility! To learn more about this facility, please visit the official page of Fort Knox Self Storage.